As a huge fan of “Downton Abbey”, I was curious to see what this book was all about. Even though I have heard of Wendy Wax, I haven’t read any of her books, but will certainly be adding them to my list of to-reads in the future. In WHILE WE WERE WATCHING DOWNTON ABBEY, we are introduced to three very different women who all live in the gorgeous downtown Alexander. They are brought together when Edward Parker, the British concierge of the Alexander, offers Sunday night showings of “Downton Abbey” in the club room. Samantha is married to Johnathan Davis, part of Atlanta’s oldest and richest families. Samantha has lived her life in gratitude to Johnathan for saving herself and two siblings after their father and mother died in a car accident. When her siblings continue to drain Johnathan of his fortune and continue to embarrass their family, she wonders why Johnathan continues to stay married to her. Samantha continues to keep a brave face and fake her happiness all while under the watchful eyes of her mother-in-law, who may surprisingly become her biggest ally. Claire, an accomplished author left the suburbs after sending her only daughter off to Northwestern. Claire moves into the Alexander to spend a year writing her third novel. Claire spent her whole life working multiple jobs while writing and caring for her daughter as a single mother. Now with a whole year in front of her, she can’t seem to find the words to create her next novel. Admitting that to her publisher and her daughter could mean the end of her career. Brooke is recently divorced from her plastic surgeon husband. Throughout their marriage, Brooke worked multiple jobs and raised their children to get her husband through medical school. Now that his practice is booming, he no longer needed her and left Brooke for a someone he could practice his plastic surgeon skills on. Brooke, her two daughters and their dog are constantly put in the path of her ex-husband and his new “Barbie” girlfriend. While Brooke continues to feel completely inadequate compared to the other people living in the Alexander and to her ex-husband, she finds a new calling as a professional mom. Edward Parker hires her to handle a 6-year-old birthday party as part of his Private Butler business and has maybe just given Brooke a new look at life without her husband. Wendy Wax has a great talent in creating characters the reader can both imagine and care about. From the very beginning, I found a piece of each character that I could relate to and began to root for them through each chapter. With all the different characters and storylines, Wax finds ways to blend them all together without confusing or losing the reader. While reading the character’s stories we also find their lives connecting with those in “Downton Abbey”. The merging of the novel with the show made for an interesting piece to the novel that was subtle, yet thought-provoking. I found that even though the initial descriptions of the characters would make them unlikely friends, their friendship became very believable and necessary. I really enjoyed the story and even though parts of the book were predictable, I was pleased with how the character’s lives were concluded in the novel. I was able to guess some of the outcomes, I just didn’t know how they were going to get there which is what I loved about the book. I certainly enjoy a novel that can showcase women’s friendships that are caring, fun, and with them supporting each other rather than being catty and spiteful. 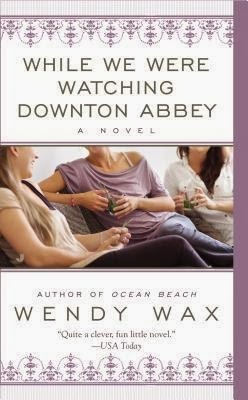 I think this would make an excellent book club choice, especially for fans of “Downton Abbey”. There are discussion questions included at the end of the new mass-market paperback version if you need them. But, I think your group would find plenty of topics to discuss without the questions. You will also find the first two chapters of Wax’s novel TEN BEACH ROAD included in the back of the book. 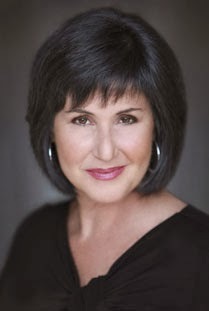 Wendy Wax is the author of numerous popular contemporary fiction novels including TEN BEACH ROAD and OCEAN BEACH. For more on Wendy, check out her website,HERE. You can also like her on Facebook, HERE and follow her on Twitter, HERE. Thanks to Penguin Group for providing me a copy of this novel for this review. This review is my honest opinion. I was not compensated in any other way for this review. If you choose to purchase the novel through the above link, I will make a small commission without you paying a cent more for your purchase. Thanks for supporting SincerelyStacie.com.